In Years 7, 8 and 9 students have a one hour lesson per week. The year groups are divided into mixed ability groups. 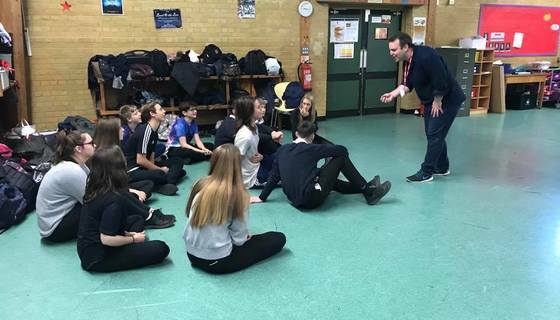 The curriculum is designed around developing basic but key Drama skills, with more complex skills, techniques, scripts and concepts as students move through KS3. Typically, we assess students 3 times throughout the year and Years 8 and 9 students undertake a 'Live Theatre Evaluation' unit of work. We use aspects of the AQA Assessments throughout KS3 to ensure the best possible preparation for those students who wish to opt for Drama at GCSE. 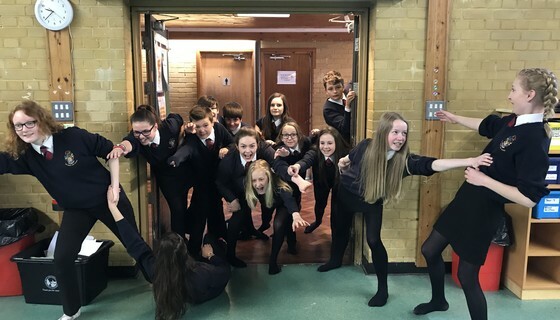 GCSE Drama offers students the opportunity to explore Drama as a practical art form in which ideas and meaning are communicated to an audience through choices of form, style and convention. Students will be introduced to key practitioners, theoretical influences and influential playwrights whilst developing and building their core practical performance skills. 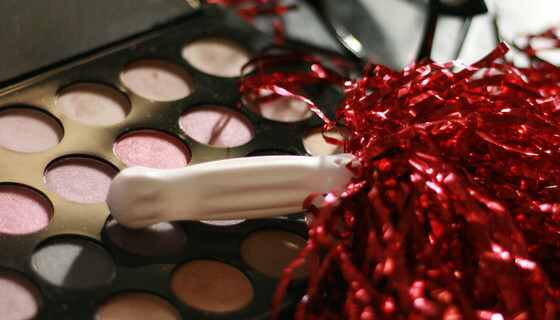 In the practical components students may specialise in performing, lighting, sound, set, costume and/or puppets. Whilst there is a fundamental emphasis on the practical element, the building up of a lively portfolio full of inspiration ideas, collaboration and experimentation and finally evaluation, is also a central part of the course. A Level Drama offers students the opportunity for students to further pursue explore Drama as a practical art form and focuses on more complex development of how ideas and meaning can be communicated to an audience through choices of form, style and convention. Students will continue their study of key practitioners, theoretical influences and influential playwrights whilst continuing to develop their core practical performance skills. Study of two set plays. Analysis and evaluation of a live theatre production. The process of creating devised drama. The performance of devised drama (students may contribute as performer, designer or director). Devised performance must be influenced by the work and methodologies of one prescribed practitioner. Methodology of a prescribed practitioner must be applied to Extract 3. 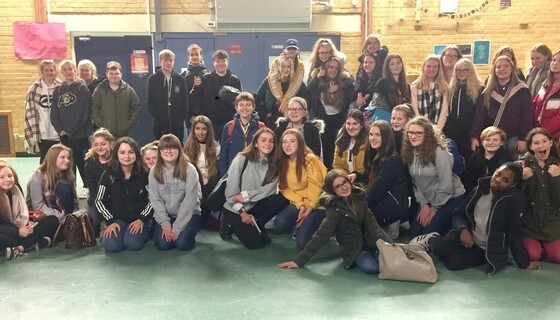 The department offers rich and varied extra-curricular and enrichment activities, including the opportunity for student leadership in Y10 with our Drama Ambassador scheme. We also host an annual Drama Awards Evening, in celebration of students who have achieved well in both subject lessons and extra-curricular. 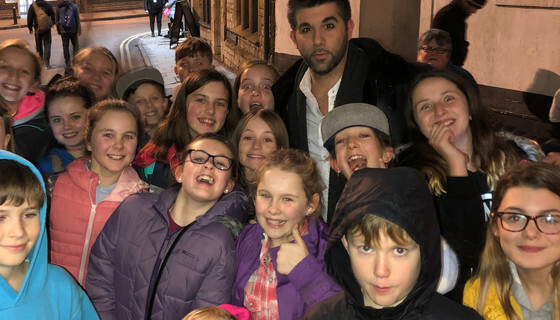 Every year group is given the opportunity to attend a trip in Years 7, 8 and 9 ranging from Pantomime, to West End visits and plays that we study such as 'Blood Brothers'. Students who have opted for GCSE and A Level must attend at least one theatre trip during their time studying their respective courses; this is so that they are able to fully answer the 'Live Theatre Evaluation' section of their written exam. 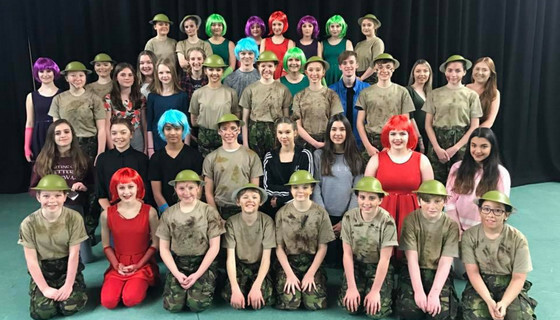 Every other year the Drama and Music Departments join forces and produce a full scale musical production, usually open to Year 9 and upwards. 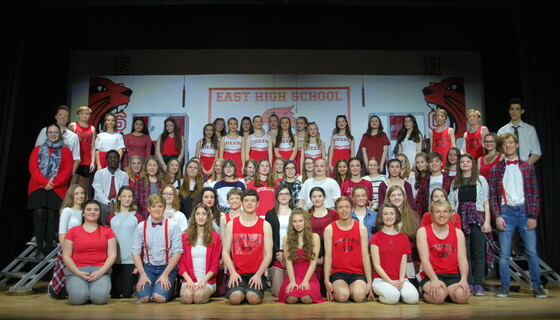 Most recently Disney's High School Musical (2018), Oliver! (2016), Beauty & the Beast (2014) and Jesus Christ Superstar (2013). Year 7 and 8 Drama Clubs run on Thursday and Tuesday lunchtimes respectively. Every other year, these two clubs take part in Henry Box School's very own Shakespeare Festival 'Bard @ the Box'. Musical Theatre Group runs every Thursday after school from 3.15pm-4.15pm. BBC Bitesize - useful revision tips with interactive quizzes for GCSE students.